I’ve been blogging for nearly 5 years and it wasn’t until just over a year ago that I finally figured out the blogging secrets to building a professional and profitable blog. Since making such a large amount of progress in a small amount of time, compared to how long I’d actually been blogging for, I wish I had known these blogging secrets from the start. It could have saved me a lot of wasted energy on tasks that didn’t return much traffic and it could have saved me money, investing my budget in things that didn’t work. 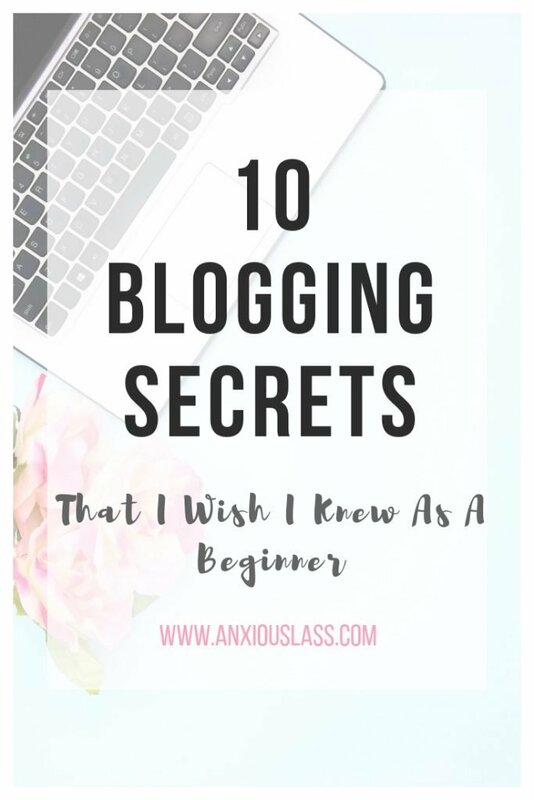 Lots of people will tell you to start a blog but they don’t often tell you about the work that goes into maintaining a blog and making it successful. Setting your blog up is the quickest part but writing enough content and marketing your blog until it brings in enough traffic to make an income is something that will take time and a ton of effort. You can’t just leave your blog once it’s got a few blog posts on it and hope that people will come. It requires a huge amount of attention and realistically you will not be making enough money to quit your job for at least 6 months or more if it’s your first ever blog. If you want to create a successful blog, you need to be in it for the long haul. You CAN start off a blog cheap, or even free but you should be looking at setting a budget aside if you want to really build your traffic, monetise your blog, make it look professional and have it function to a high standard. Your blog won’t be turning over a lot of traffic or income if you’re using a free blogging platform for example. SiteGround Hosting – Currently on GrowBig plan but will soon be upgrading to GoGeek. SendOwl – This is where I sell my book and sign up for other affiliate programs. MailerLite – My email marketing provider. I pay for a subscription now that I have over 1,000 subscribers but you get the first 1,000 for free! I’ve also invested in education, like ebooks & courses. (I recommend the Blog By Number Ebook) as well as Facebook Ads, Instagram Promotions and premium WordPress Plugins. I get complimented on my blog aesthetics a LOT. You may be amazing at writing but if your blog isn’t visually pleasing and easy to navigate, then you’re not giving your readers enough reason to stay. Take a look at the blogs you read most. What do you like about their designs? How do you feel when you scroll through the blog feed? How can you incorporate that same experience into your own blog? When I first started, I used a free theme that I could barely customise and my colours were really harsh and not at all inspiring to look at. I’ve come along way since then and having a good blog design was a huge turning point. I already knew about SEO from running a local photography business but I really missed the mark when I started my blog. It wasn’t the same as optimising a local website, it’s much harder because the audience is broader and the competition is much stiffer. I figured that if I wrote regular fresh content and get it shared enough on Pinterest, that it surely would rank well on Google, right?! Wrong. The traffic I was getting from Google was absolute pants and I wasn’t even ranking in the top 100 for most of my key phrases. The reason for this was because I wasn’t planning my key phrases properly. I then started using the Google Keyword Planner and writing a lot of my content around the key phrases it came up with. I also used SE Ranking to check what keywords I ranked for and where I ranked for keywords I wanted to rank for. 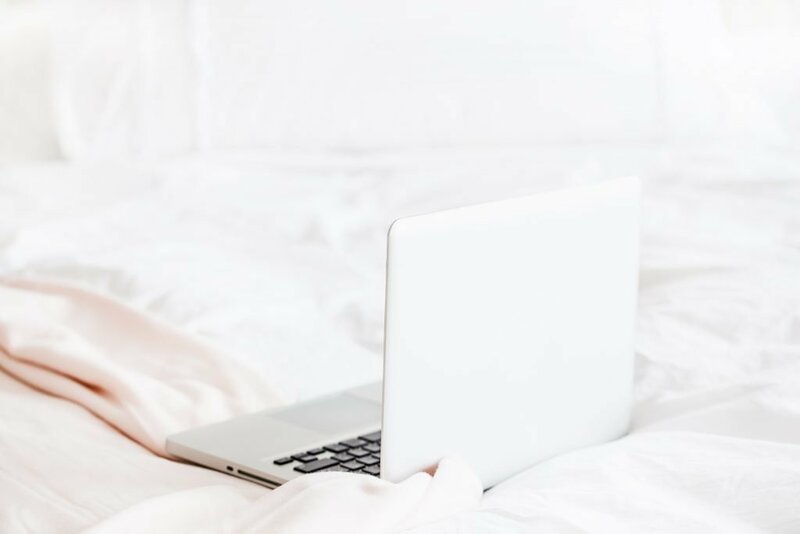 When you want your blog to become successful, you need to be more than just a writer because you need to market your blog yourself, you’ll be communicating with readers and even brands yourself, you’ll be setting up your own schedule and even doing your own accounting. Sure you can set up Ads on your blog or have a digital product that generates income while you’re not at your computer but you still need to write content to keep people coming to your blog and you still need to be present on social media to create awareness of your blog. You can’t just write a few blog posts, set up some ads and leave it be. If you try and do it all, you’ll spread yourself too thin and you won’t get very far with anything. Focus on one thing at a time, like focusing on just traffic, or focusing on just SEO or focusing on one specific social media platform at one time. Set yourself a goal and make that your priority until you’ve mastered it. Marketing your blog on social media is good, ranking well on Google is good and being top of Pinterest is all good but with any social media platform or search engine, algorithms change. Once small change and your traffic and sales can dip overnight. It’s silly to keep all your eggs in someone else’s basket. You also want a way for your new readers to keep on coming back to your content, so they don’t forget about you forever. You worked hard for your blog to be seen by them, so keep them returning to your blog! I used MailerLite to grow my email list and I wouldn’t use anyone else. I love the fact that their automation feature is included in their free plan and their landing pages are easily customised to fit your brand. It really comes down to having good quality content and creating lots of it. Look at your analytics and figure out which kind of posts work best on your blog, then use that information to recreate its success. I found that list posts and how-to’s work the best on my blog (which they do for most) because you’re offering your reader something they’re already looking for. Make sure you blog consistently. Months where I only blogged once or twice, my traffic suffered! Blogging once or twice a week is a more achievable aim! When I first started my blog, I was on a free blog platform and it sucked. I couldn’t customise it, I couldn’t use all the fancy plugins that helped make a blog successful and I couldn’t monetise it properly. People also did not take it seriously. I then moved over to self hosting and installed WordPress, which let me create a much nicer looking and more functional blog but the problem was I chose a cheap web host and my new sparkly blog that I’d poured hours of work into, was now offline most of the time. The servers constantly went down and I’d spend more time on their online chat, trying to get it to work, than I’d actually spend writing my damn blog. Nowadays I’m with SiteGround and my blog hasn’t had any downtime since and my blog actually loads a lot faster than it did before, meaning more traffic. SiteGround are great for WordPress users too, which is great if you’re a blogger! Finally, a little extra blogging secret, is that you don’t have to wait until you have everything in place, or wait for your blog to be absolutely perfect before you start monetising it and showing it off to the world. You’ll always be improving it, so just start now! You’ll find out what works best for your blog along the way and I hope these tips have helped you! I’m am very interested about starting my own blog about mental health. And when I started researching, this website came up first and grabbed my attention. My name is Marie and I’m 24. I struggle alot with mental health. I have been abused as a kid and teen. I have had so much support and love and healing. I have started my healing journey 6 years ago. I’m not getting very much support to write a mental health blog. Do you have any advice? Sorry to hear that you’re not getting much support for your mental health blog. It’s difficult to advise you because every journey is personal but when I started, I didn’t tell anyone in my “real life”, I just wrote it under the radar. 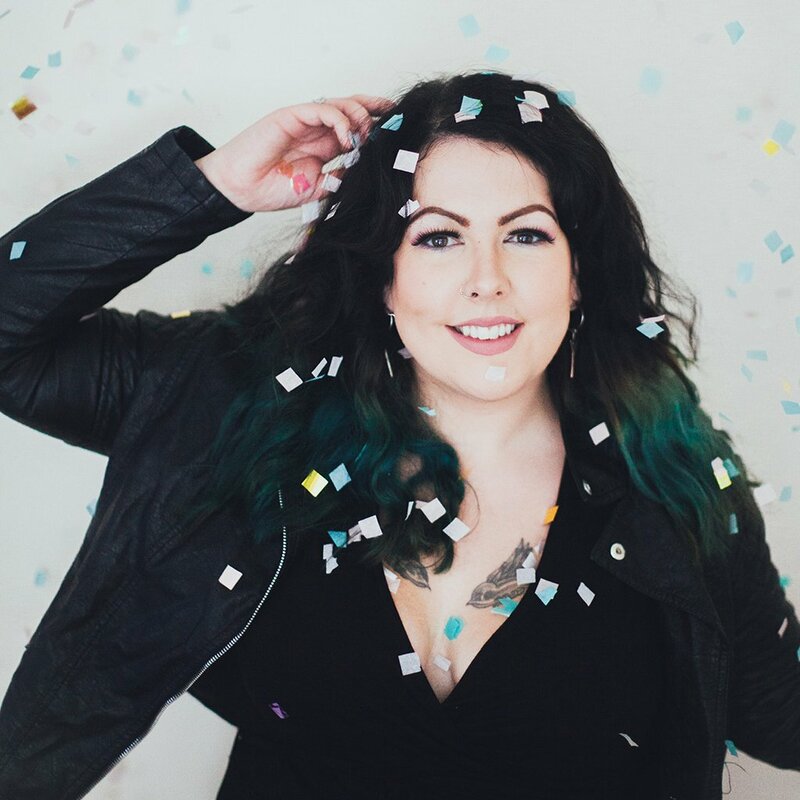 It wasn’t until the blog was more successful and I was about to be on the radio for the first time that I decided to tell me real life friends and family. The thing is, it’s your journey, your blog – nobody has the right to tell you what you can and can’t do. Write the blog, prove people wrong! You’ll get plenty of support from your readers, who you will no doubt help by talking about your journey and you have my full support!